Hare Traction Splint, the original traction splinting device, realigns a fractured femur to its proper position. Protect your patient from further hemorrhage and additional nerve, vascular, bone, and muscle damage. 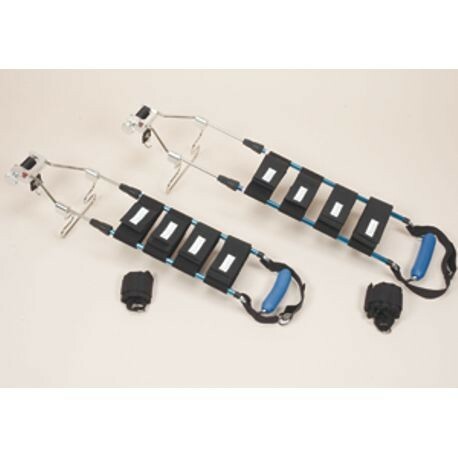 Includes ratchet traction device and "S" ring hook, heel stand and release pull ring, collet locking device, four leg support straps, ischial strap and pad, adjustable ankle strap, carrying case, and instructions.